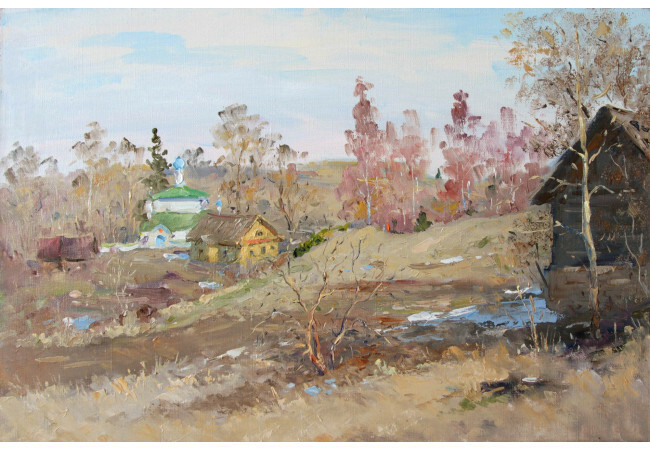 This original Painting ﻿`April in Izborsk` by a Russian artist Alexander ALEXANDROVSKY, is done in oil on canvas. This Landscape was created in Realism style. 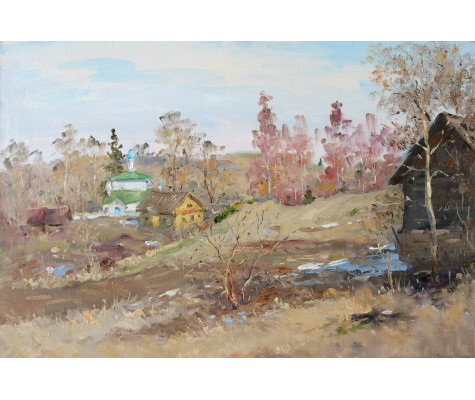 Russian village near Pskov. Early spring. The snow has already descended from the hills. And only in the shadow of a log cabin, white spots still can be seen at the roots of trees. On a low hill stands a church with green domes. 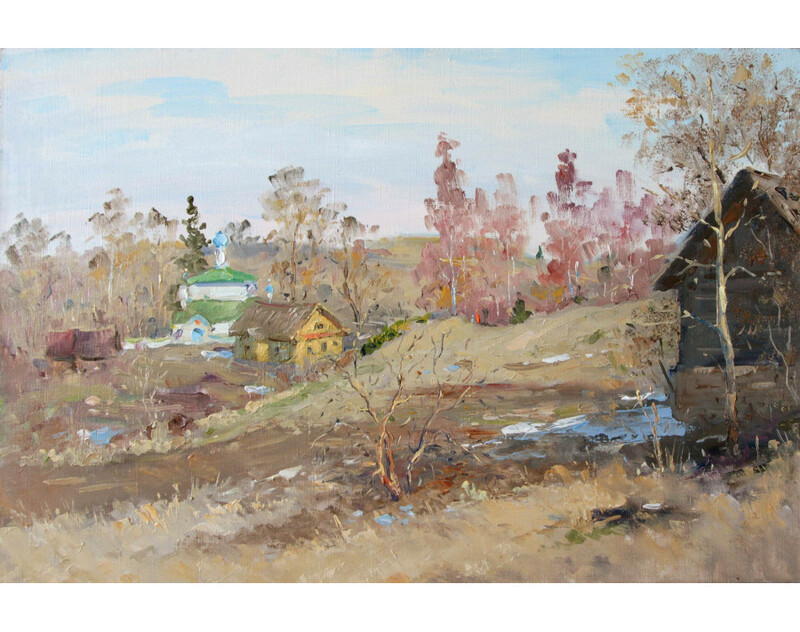 Around her village houses are buried in the branches of slender birches and thick bushes. 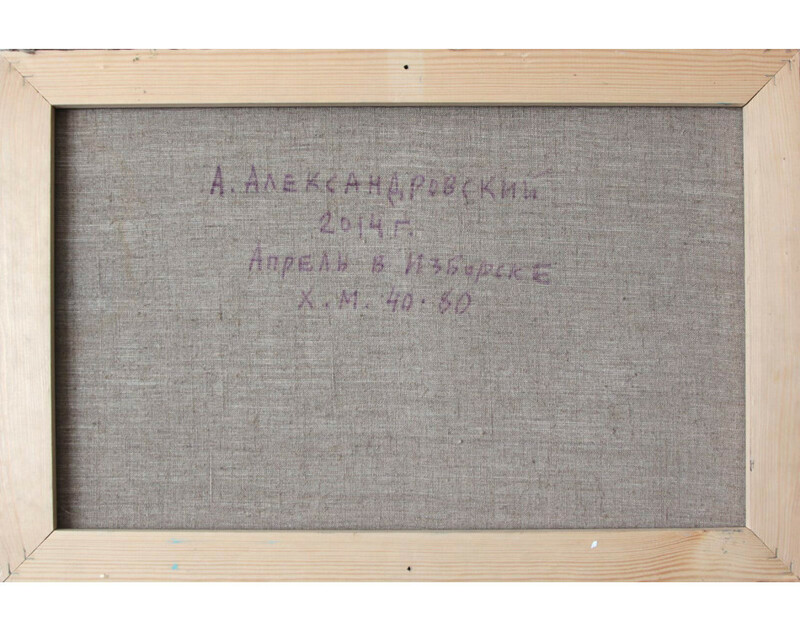 Clear blue sky above Izborsk.